Souvlaki Gyros A misled word association, although all our customers called it this, there's a difference between Souvlaki and Gyro, so let me clarify before going into the recipe. 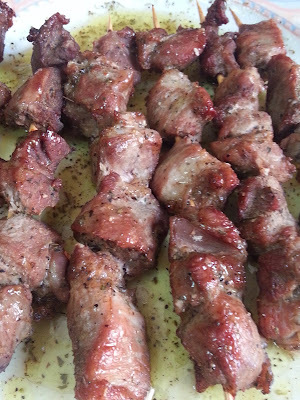 Souvlaki, is pork meat grilled on a skewer, it can be served on a skewer or in a pita. Gyro, is meat that is cooked on a vertical rotisserie that spins round and round hence, the term Gyro. 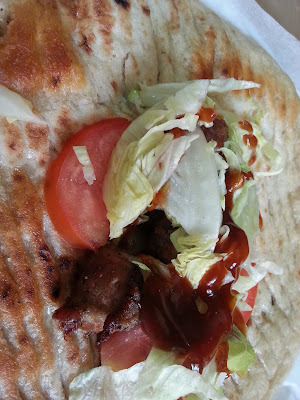 The meat is then cut into small pieces in the pita. At 21- 15 Mott Ave. Souvlaki Gyros by Spyros, a benchmark for my dad's luncheonette. Everyone wanted to know why his souvlaki gyros were so tender. He always said:"Ahh, that's my secret. "Our customers just kept coming back, we could never have enough. What was his secret? 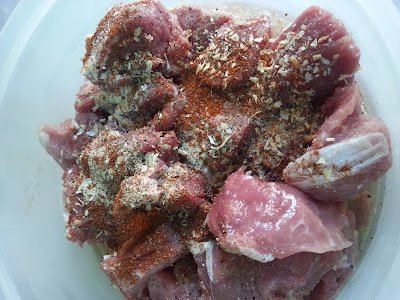 Simple, overnight marination with simple ingredients. I love you dad for all you taught me. 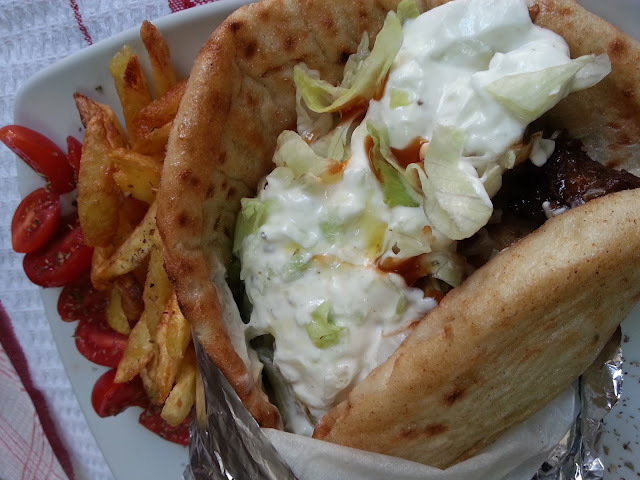 I could easily say that Souvlaki Gyros are a famous street/fast food in both Greece and New York. Just one try and you are hooked! 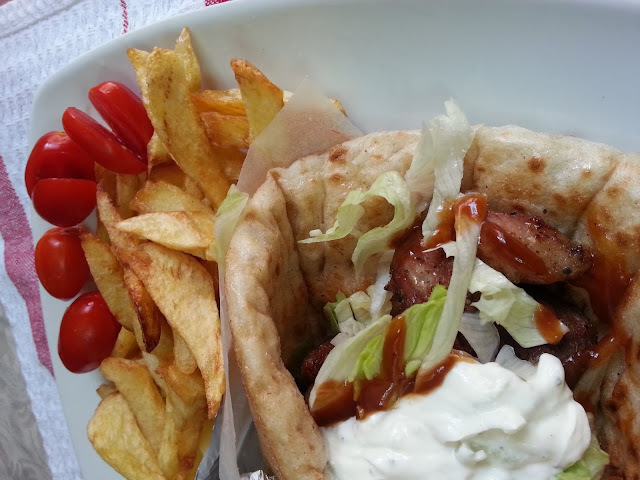 Enjoy this easy to make Souvlaki Gyro recipe at the comfort of your own home. 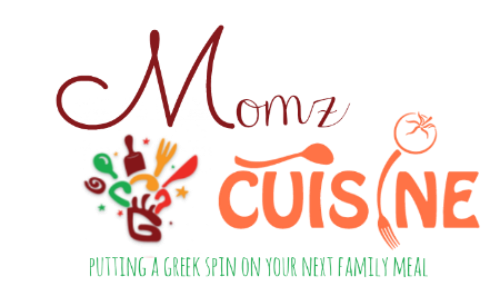 *We always used Kronos Gyro Strips they were so delicious, enjoy your pita either with souvlaki or gyro strips!! *You can substitute beef for pork but beef becomes chewy when grilled. 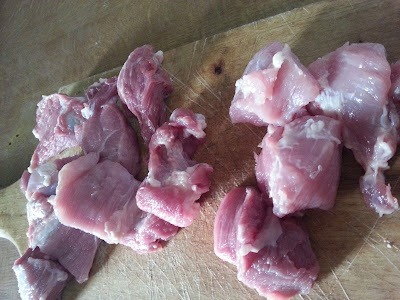 Try to cut your pork into cubes as best as possible, they will stay better on the skewer when grilling. Before you grill them, marinate them overnight. Add garlic powder, onion powder, paprika, salt, pepper, oregano and your wine. Mix your meat very well and place in refrigerator, if you are in a rush you can marinate them for 3 hrs before grilling, overnight just works a bit better. I usually grill them in the oven, I take a pan place water inside the pan, add a small grill rack on top of pan and grill on medium heat. Make sure you add water to the pan. When done in a plate add your lemon juice, olive oil, oregano, a bit of water, salt and pepper to taste.Add your souvlaki, marinate for a few minutes before placing in your pita bread. 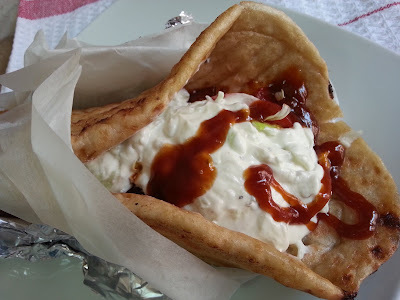 A close of how you should put your ingredients together, I usually place two piece of tomato on the bottom and then all the ingredients and last the tzatziki sauce which I also top again with bar-b-q sauce. 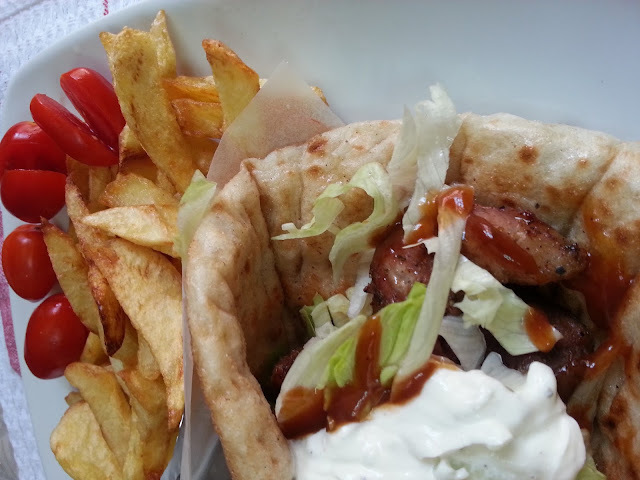 And your Souvlaki Gyro is ready serve as is or with french fries as seen in the picture below. And remember if you have any questions, comments or just want to say hi, feel free to send me an email. I look forward to all your comments and suggestions. Share with all your friends on your favorite social networks using all my sm accounts.